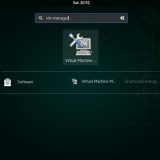 YaST2 is a Configuration tool in SUSE Linux which is used to configure the system’s Hardware like printers, Sound cards, keyboards , network cards.It also help us to configure Network clients & services like NIS, NFS. 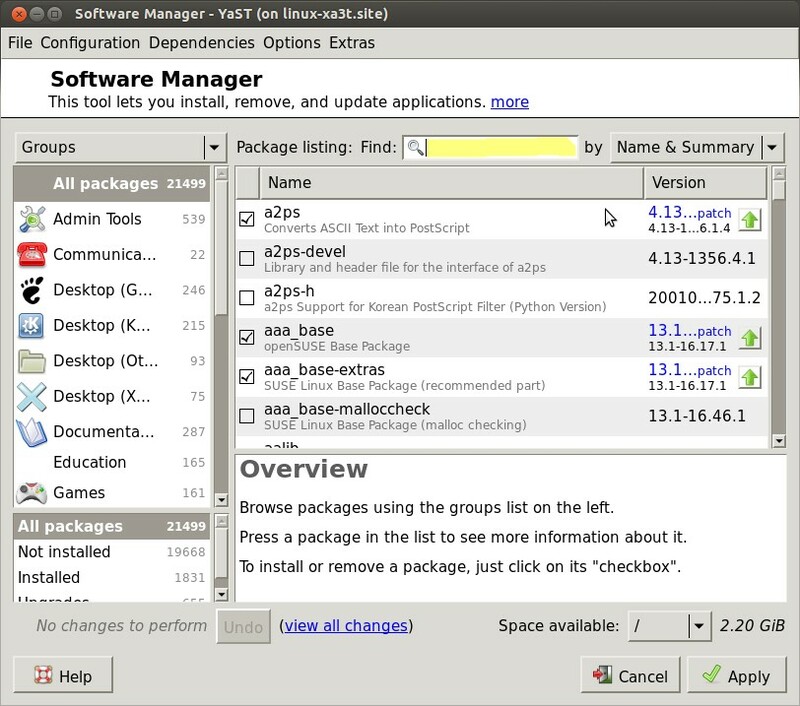 Most common use of yast2 is to install , upgrade and remove software. 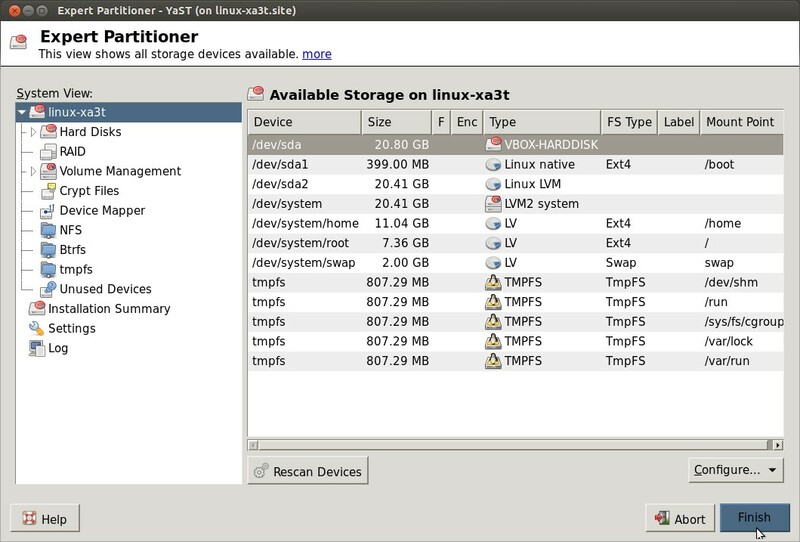 Yast2 can be used as Command line tool and GUI tool. 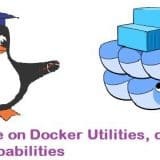 Use below Command to list the modules that can be configured and managed by Yast2. 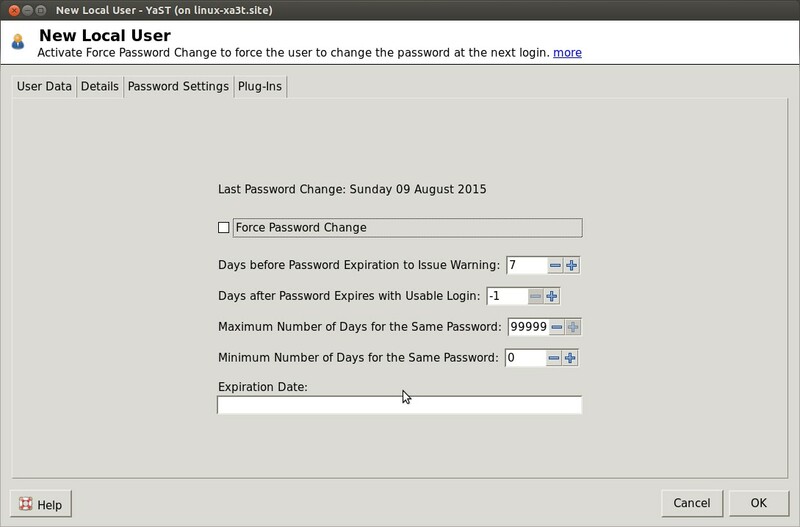 Example:1 Access the YaST2 tool. 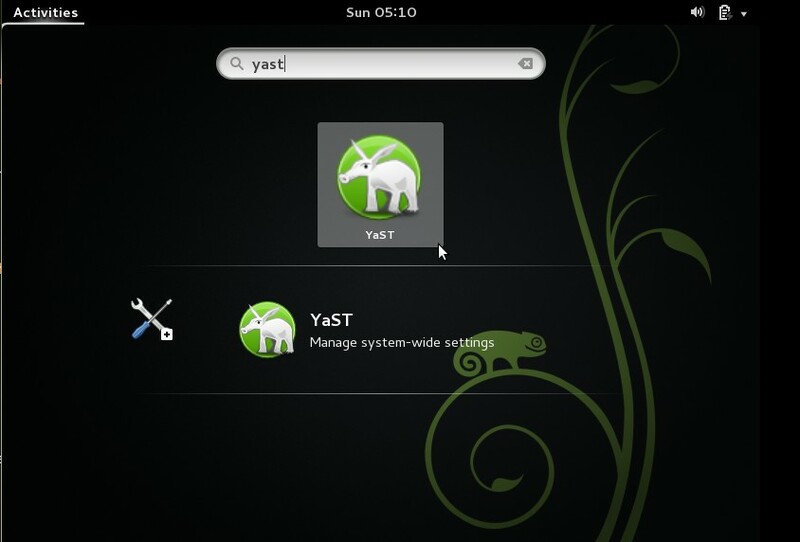 Open the terminal type yast2 command as shown below. Start the yast2 , Got to Software Management Module. 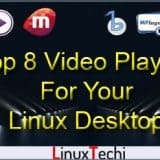 Type the Software on search box that you want to install or remove it. 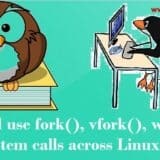 Alternate way to install and remove package. 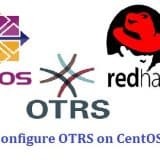 Start the yast2 and Go to Software Repository Section or you can type below command . Click on Delete to remove a repository. In my case i am setting the hostname of my machine as linuxtechi. 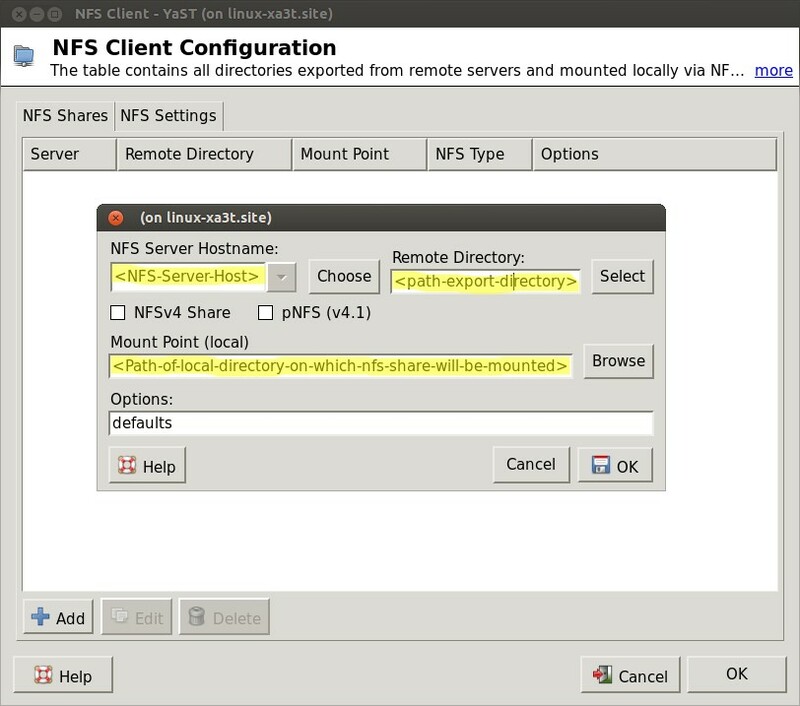 Example:5 Mount NFS share using yast2 command. 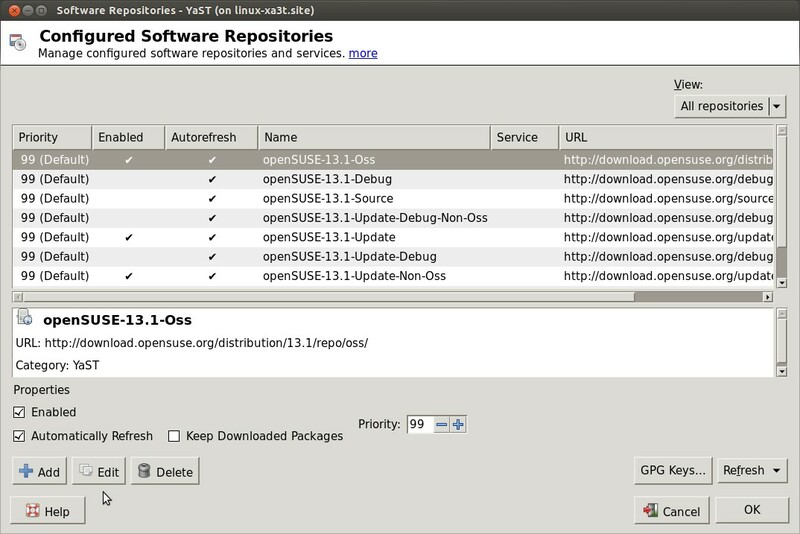 Suppose NFS server has exported some folders now i want to use that share in my suse Linux machine. 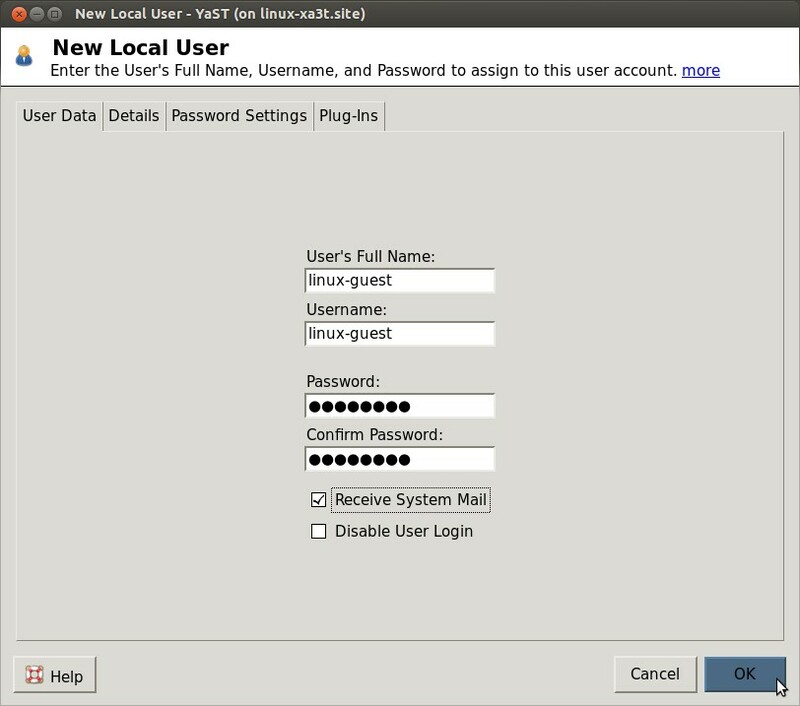 We can access or mount that share using yast2. 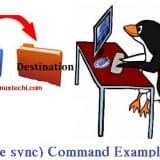 In Linux we usually use commands like useradd / usermode / passwd / groupadd to manage local accounts but using yast2 we can also do the user administration task. 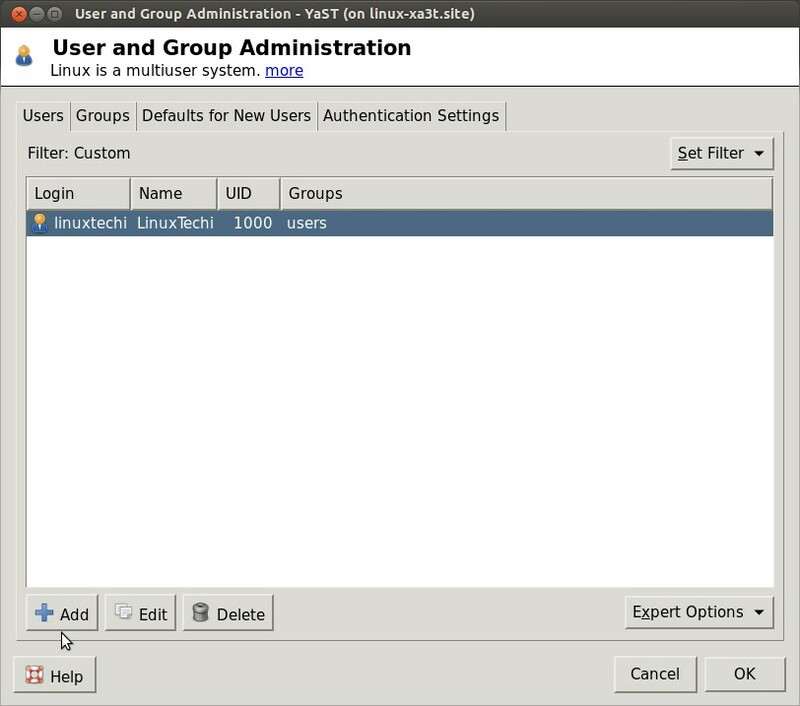 Click on ‘Default on New Users‘ to see the default settings for newly created users. Example:7 Sync time with NTP Servers. 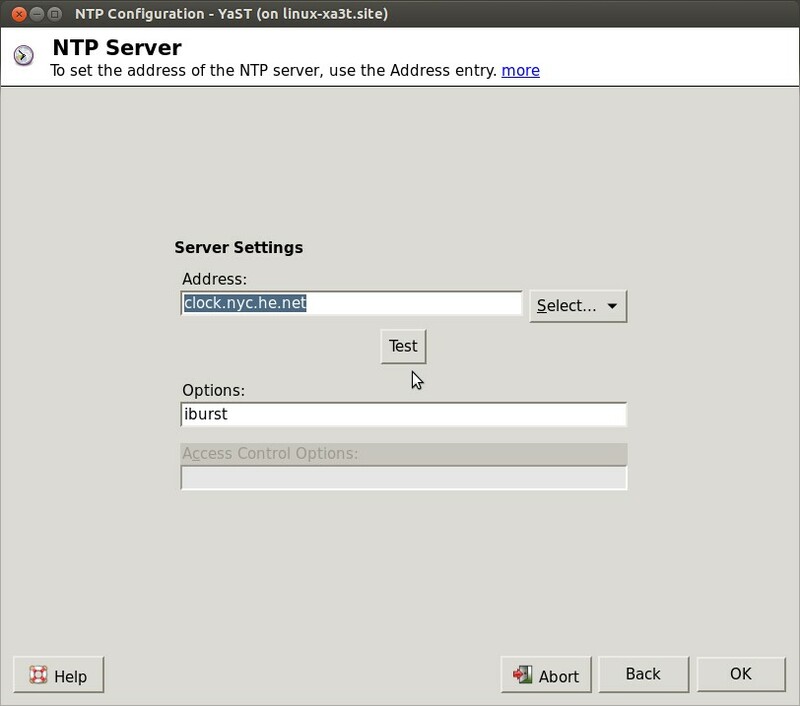 Click on Add option and add the NTP server from which you want to sync the time. 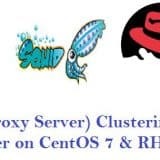 Click on Test, to check whether the server is reachable or not then Click on OK. 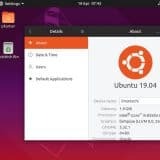 Example: 8 Change the Time Zone of your Machine. Select the Region and Time Zone as per your requirement. 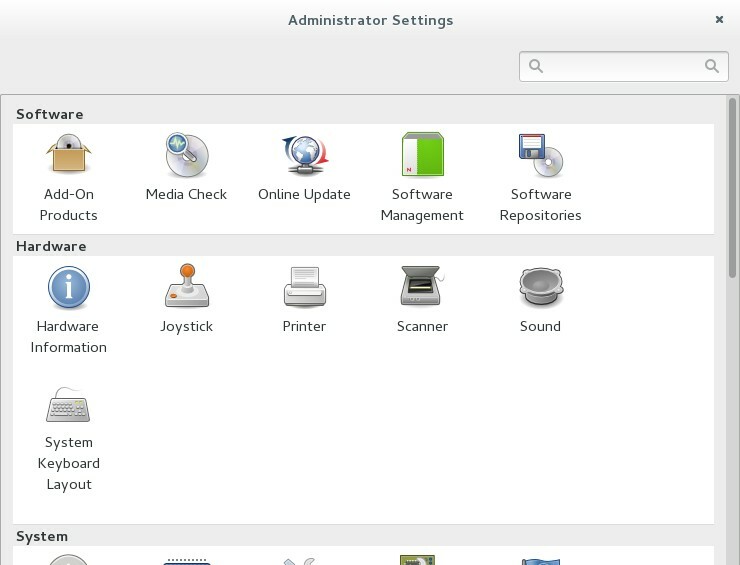 To Scan the newly allocated disk , click on Rescan Devices . 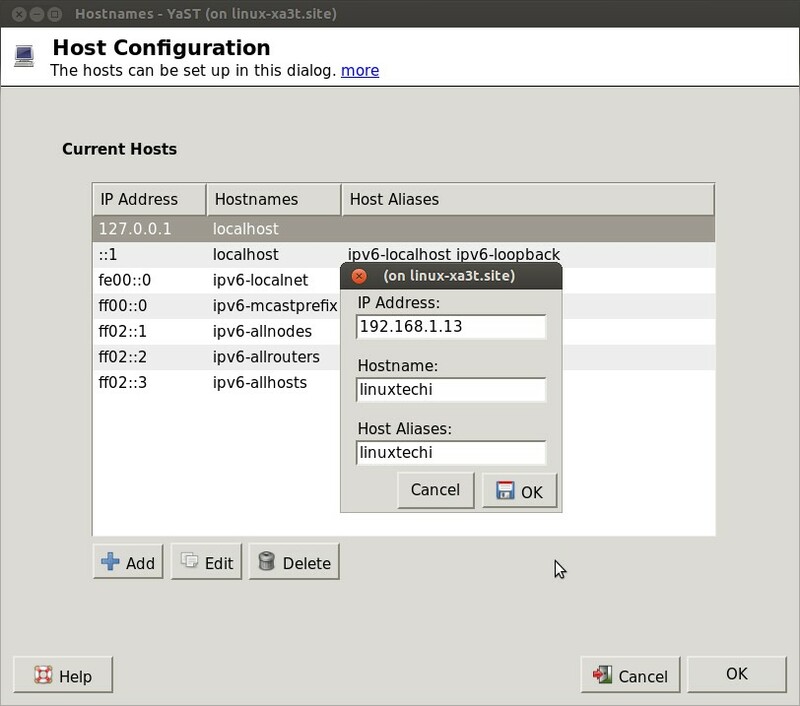 We can also Configure iscsi disk and can enable Multipathing using this tool. 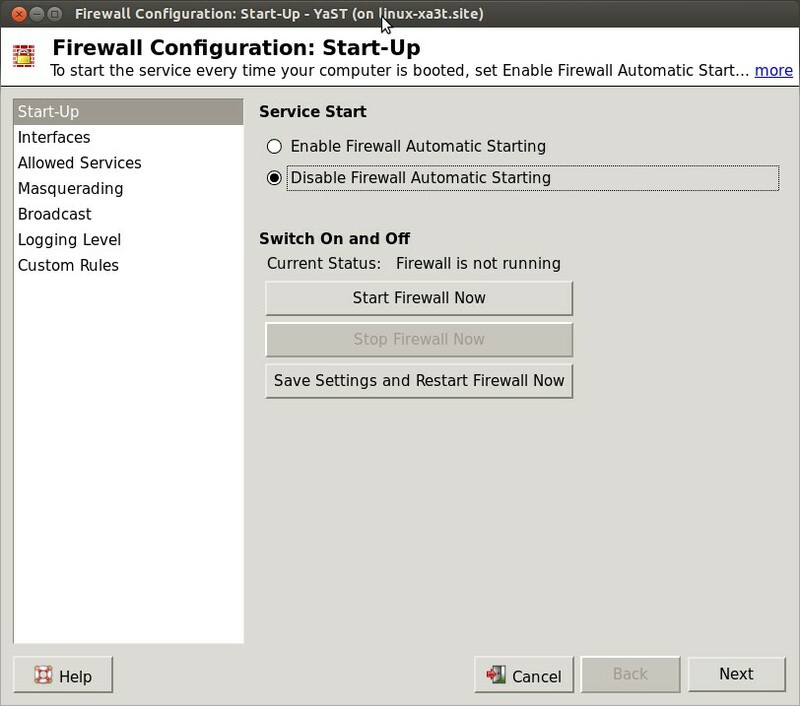 When Firewall is enable on the Linux server it makes your box more secure and less vulnerable to the intruders. 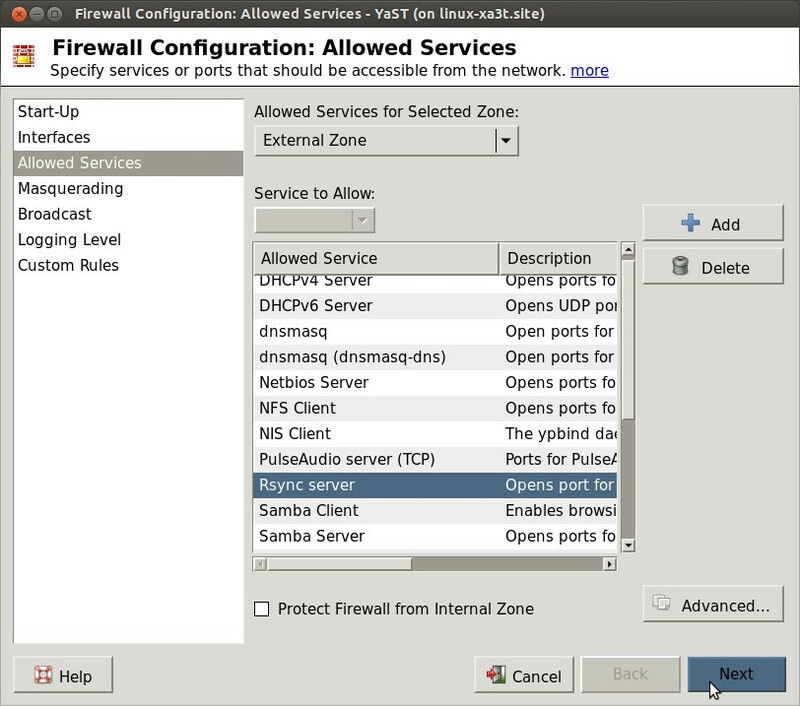 So to enable and Configure firewall rules use the below command. To See the list of services which are allowed to the external zone , click on Allowed Services.